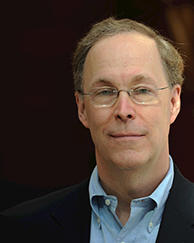 Douglas W. Diamond specializes in the study of financial intermediaries, financial crises, and liquidity. He is the Merton H. Miller Distinguished Service Professor of Finance at the University of Chicago’s Booth School of Business. He has been on the faculty since 1979. Diamond is a research associate of the National Bureau of Economic Research and a visiting scholar at the Federal Reserve Bank of Richmond. He is a member of the National Academy of Sciences, is a fellow of the Econometric Society, the American Academy of Arts and Sciences, and the American Finance Association and was president of the American Finance Association and the Western Finance Association. Diamond received the Onassis Prize in Finance in 2018, the CME Group- Mathematical Sciences Research Institute Prize in Innovative Quantitative Applications in 2016 and the Morgan Stanley-American Finance Association Award for Excellence in Finance in 2012. He has taught at Yale and was a visiting professor at the MIT Sloan School of Management, the Hong Kong University of Science and Technology as well as the University of Bonn. Diamond earned a bachelor's degree in economics from Brown University in 1975. He earned master's degrees in 1976 and 1977 and a PhD in 1980 in economics from Yale University. Financial intermediaries; financial crises; and liquidity. With Raghuram Rajan, “Fear of fire sales, illiquidity seeking, and credit freezes,” The Quarterly Journal of Economics (May 2011). With Raghuram Rajan, "Liquidity Risk, Liquidity Creation and Financial Fragility: A Theory of Banking," Journal of Political Economy (April 2001). "Monitoring and Reputation: The Choice Between Bank Loans and Directly Placed Debt," Journal of Political Economy (August 1991). "Financial Intermediation and Delegated Monitoring," Review of Economic Studies (July 1984). With Philip Dybvig, "Bank Runs, Deposit Insurance, and Liquidity," Journal of Political Economy (June 1983).